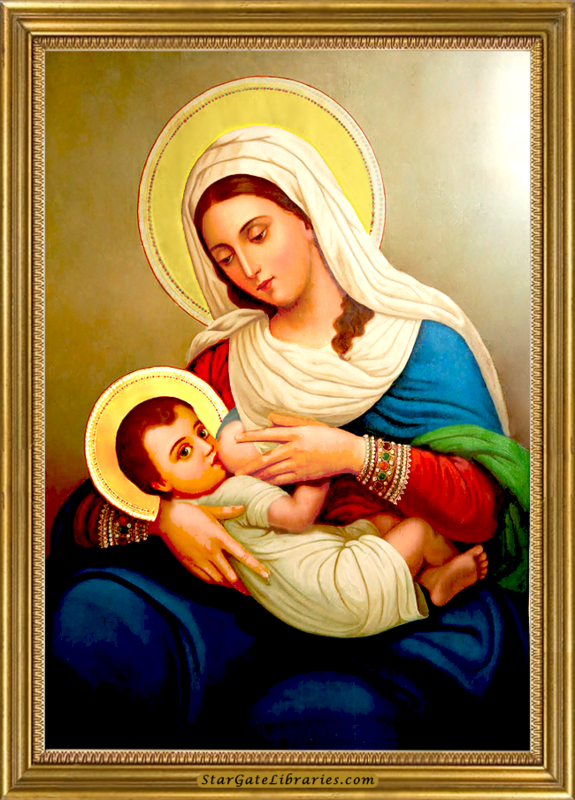 This painting hangs in the Milk Grotto in Bethlehem Israel. The Milk Grotto is a small cave in Bethlehem where it is believed Mary took refuge during the Slaughter of the Innocents. Legend has it that while breast feeding Jesus, a drop of Mary's milk fell to the floor, turning the yellowish-brown stone to creamy white. Expectant mothers still come to this grotto in prayer for the well being of their unborn child. No information regarding the artist is available.